Kid's work coats offered in a range of colours and sizes, embroidered with your child's name, school or team name or logo. Ideal for technology classes, painting or any situation where you need to protect clothing. 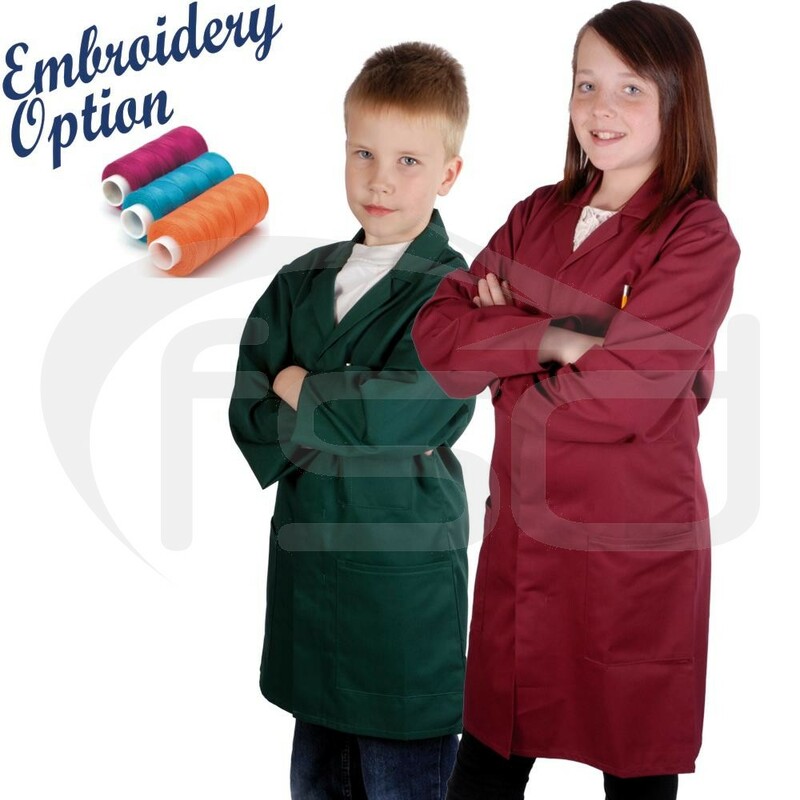 Kid's work coats offered in a range of colours and sizes, embroidered with your child's name, school or team name or logo.